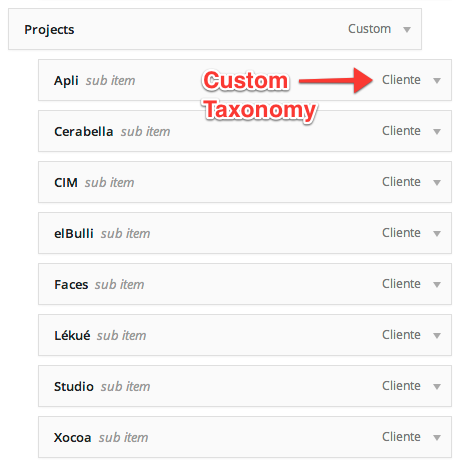 This snippet will let you add your custom taxonomy ID to your menu classes. See that we've added client-16 at the end? This can be very useful to style certain menu items or play with jQuery selectors. great, but what is: nav_menu_css_class, wpa_category_nav_class, 10 and 2 ? should I repalce it with something I use? nav_menu_css_class is the name of the filter you’re hooking into. wpa_category_nav_class is just the name of the function I’ve created. The numbers assign the priority. 4.789.793 post views so far. This page needed 52 queries to load.